Last Year I did a unique commission food painting for my Aunt's new kitchen. When I was growing up in Atlanta, she would make a banana layer cake for her three kids' (my cousins') birthdays, adding a layer for every year up to 21. Today is my cousin Rebecca's 21st birthday. She's the youngest of the three and she finally got her 21 layer banana cake! I couldn't think of a better day to share this commission kitchen painting story! 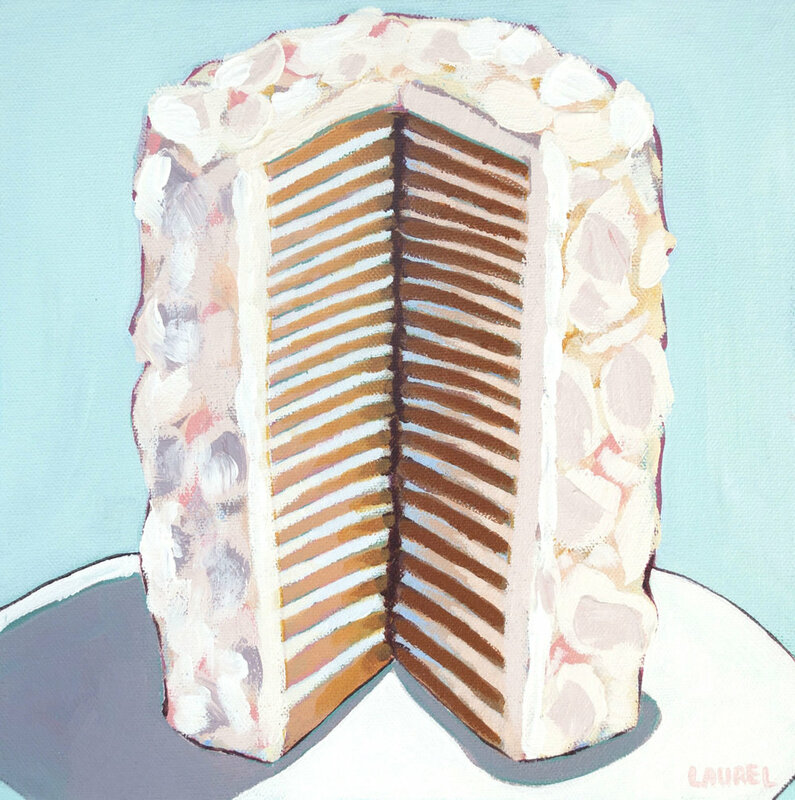 We decided to do a series of three paintings capturing my Aunt Cathy's signature dessert recipes - Devil Dogs, Kiss Cookies, and the famous 21 Layer Banana Cake - so she could be reminded of all the happy times she made them for her kids even though they don't live at home any more! The desserts are nostalgic for my cousins too. They still talk about them all the time! Here is the whole process, from sketches, to painting, to the cake in real life! The devil dogs, the cake, and the kiss cookies! It's such a special birthday tradition! Not only will the tradition be passed down in their family, but now this kitchen art is a new family heirlooms too! 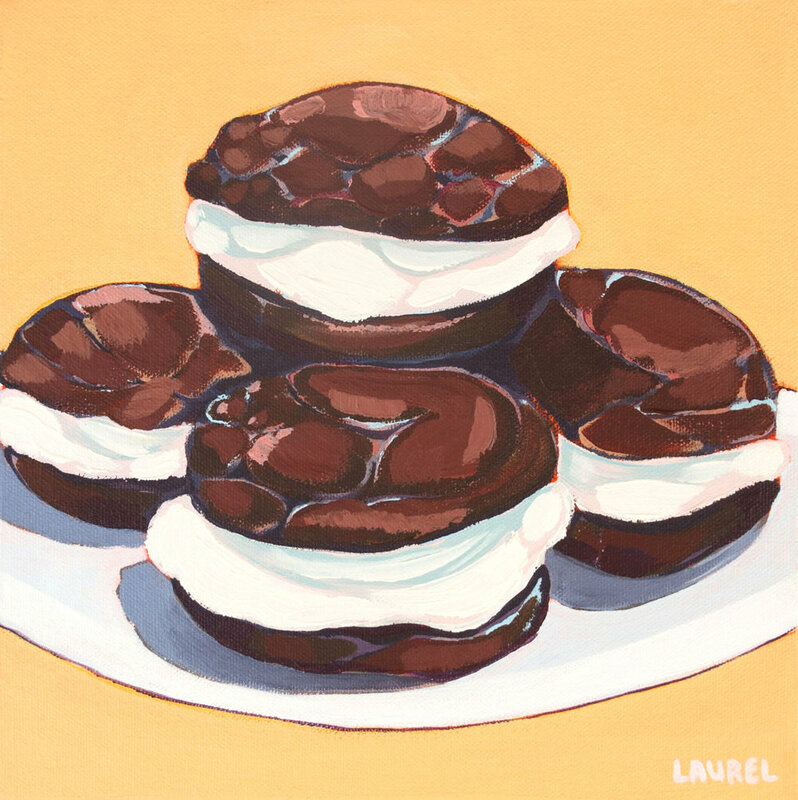 Do you have a family food tradition that you'd like to capture in a custom kitchen painting? Click the button below to see my commission packages and choose the best one for you!